I attended a seminar last week by best-selling author and “get-out-of-debt” money expert Dave Ramsey. I was only able to sit in for part of the day, but boy did he pack a wallop into the brief time I was there. 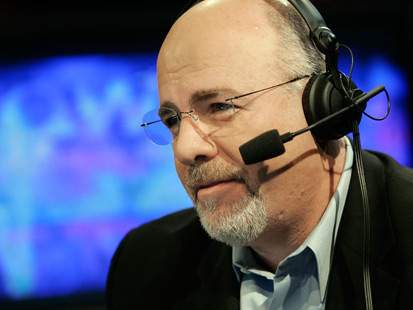 The ubiquitous Dave Ramsey—on the air, in print and in person. I liked Ramsey’s no-nonsense approach and the examples he gave from his own hard-knocks business experience. The Ramsey story is one of being down and out 20 years ago—dead broke after his real estate business collapsed—and then climbing out of bankruptcy to create the financial-advice powerhouse that is The Lampo Group. No doubt about it, Ramsey has built a very marketable personal brand that includes books, a talk radio show, classes, financial coaching, and workshops and conferences all over the country. If I could fault him for one thing, it would be that our session was a bit too commercial, with lots of promotions for upcoming events and package deals on his books. I felt at times that we were in the middle of a PBS fundraising drive. Eliminate those from your workplace, add in a big dose of passion, and you’re on your way to creating an environment that breeds champions. So often managers will bend, look the other way or “sanction incompetence” rather than face problems head on. The job of a leader, though, is to make clear to everyone what’s expected, establish the culture of the workplace and be consistent about it. 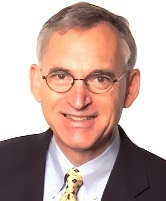 “Being unclear to your employees is being unkind,” according to Ramsey. I can buy that. This entry was posted in Entrepreneurship, Leadership and tagged Dave Ramsey, EntreLeadership, excellence, passion, servant, team building. Bookmark the permalink. Great stuff, Jay. I particularly love that quote from Mr. Ford! Great take aways Jay! The 5 enemies of unity are spot on. BTW, big fan of Dave Ramsey as well. Lots of good stuff packed into this Dave Ramsey seminar, and I only saw part of it! Great post! Love posts about leadership and entrepreneurship. 🙂 Looking forward to read more.